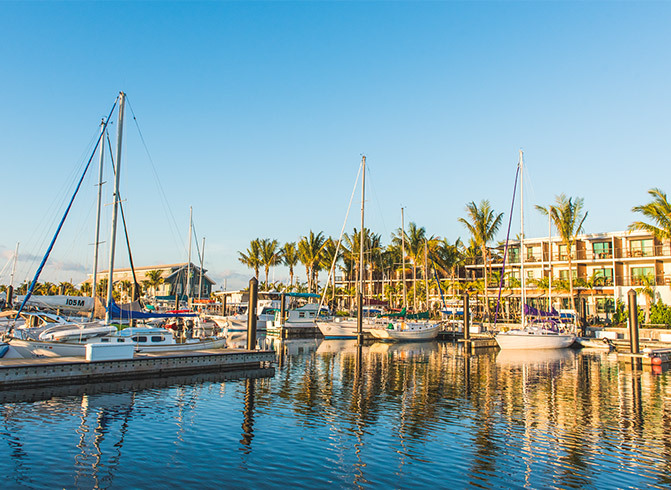 Close enough to downtown Key West, yet in a world all its own, Stock Island Marina Village provides a serene resort marina experience. Complete with on-site hotel, restaurants, beautiful pool area, captain's lounge and much more, Stock Island Marina Village is the tropical destination experience that you'll want to keep coming back to, year after year. A newly developed marina, located just beyond the noise and crowds of the illustrious Duval Street in Key West, Florida. Stock Island Marina Village is redefining the boater experience with an unparalleled level of hospitality and service. Every reservation includes dockage, water, pump-out, and access to our long list of amenities that make us the best marina in Key West. The best part of being our guest at Stock Island Marina Village is that you get access to the entire resort, just steps off your vessel.